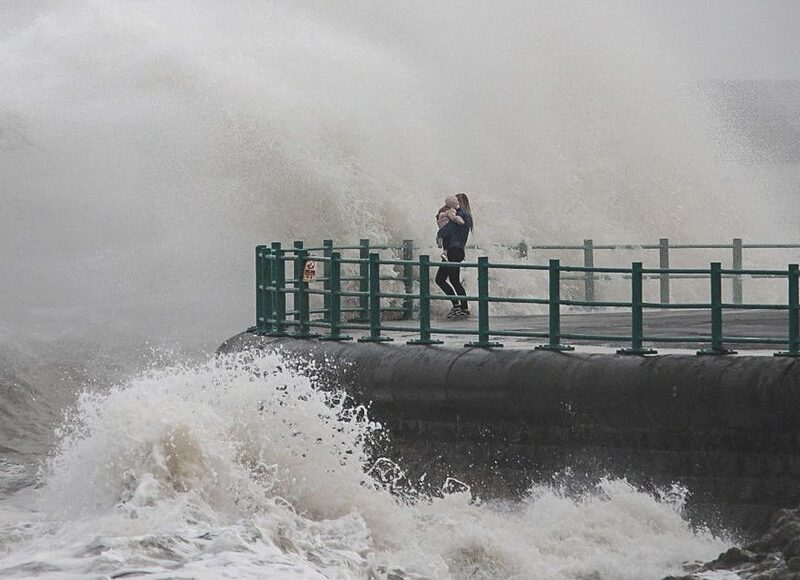 This is the moment a woman holding a BABY was smashed by a massive wave as she stood on the edge of a pier looking at stormy seas. 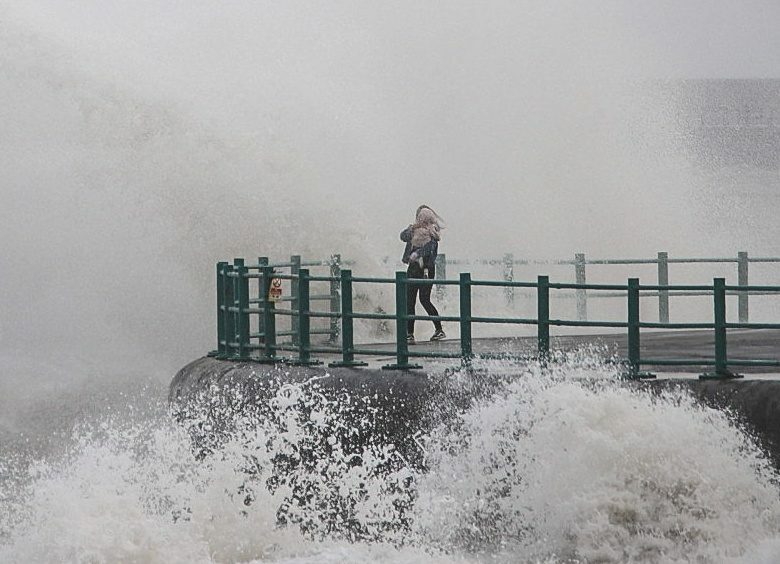 The mum and tot narrowly avoided being knocked over by the huge 25FT wave in Seaburn, Sunderland. He said: “There were a few people walking and cycling past but there was one couple who went past and the mother and the baby were stood near the edge of the pier. “If a bigger wave had hit them it definitely would have knocked them off their feet so I was concerned for them. 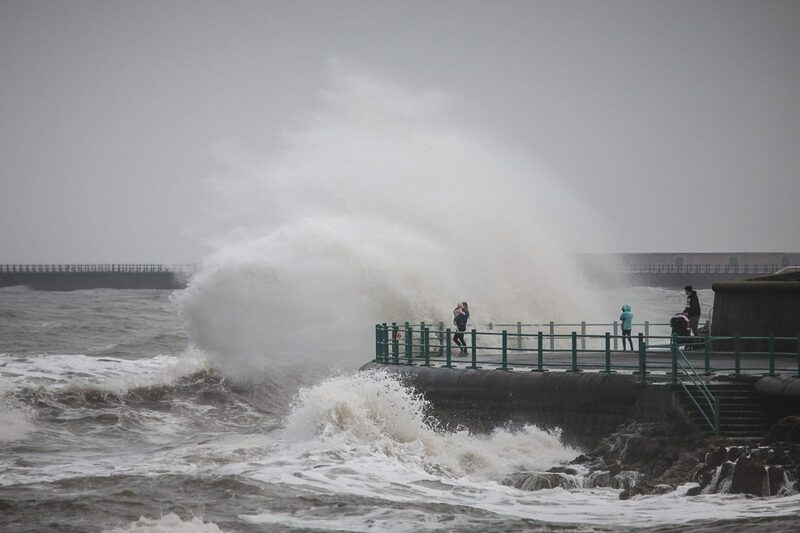 “The pictures were taken at around 2pm during high tide when there was a strong easterly wind blowing in. Simon spent around 10 minutes capturing the scene and said he was happy when he saw the family leaving the pier safe and sound.